1933 Yearbook is something you should read. 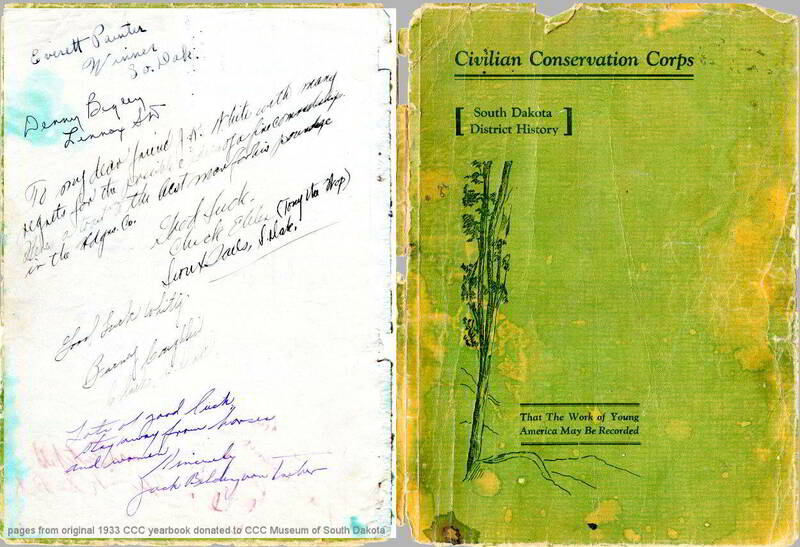 The Civilian Conservation Corps yearbooks are a great source of information about the years of the CCC. The annuals published in particular districts contained a lot of information. 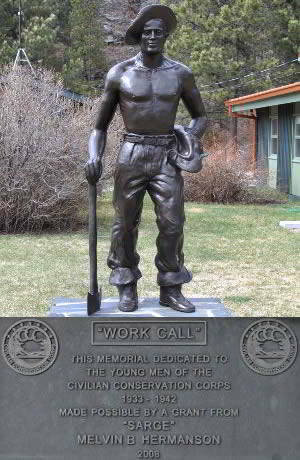 They are a major resource in the ongoing project of building the roster of men who served in South Dakota. The camp descriptions and photos chronicle a year of work and the men that did it. In late 2016 a small package was received at the CCC Museum of South Dakota. Inside was a 1933 South Dakota District History. A note inside the cover read, "My husband acquired this book in a box of books he bought at an estate auction recently in Sierra Vista, AZ. It has no value to us, but we thought you might like to have it for your museum." What makes this interesting is that it contains hand written notes to the CC Boy who had it in 1933. After looking through the annual it was determined that James "J.R." White was part of the detachment company. A pdf has been created of this book so that the original will not be handled.